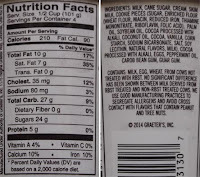 HAHAHAHA, you know, sometimes you read the name (and not the description) and you just arent sure which adjectives go where... well, we definitely know now that the dark goes with the chocolate. Too funny since I just came off eating some green mint ice cream. Let's temper a sample and dig in. 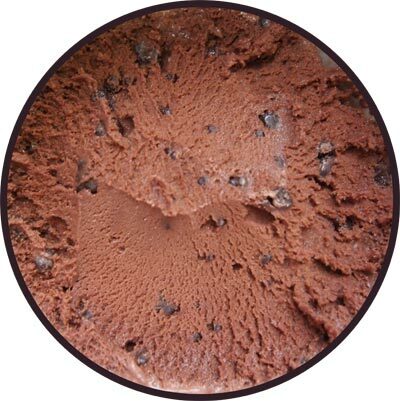 As I scoop my first serving, I'm hit by the familiar smell that I associate with Gelato Fiasco's dark chocolate noir sorbetto. The smell is hard to miss, I must try a quick bite.... oh yeah, this one is dark chocolate first and just an air of mint on the back end. Unexpected, but that's the beauty of mint, you can dial it to whatever you want. I take a few more bites and do my best to let the gelato melt on my tastebuds. There is a bit of mint the whole way through, but it really is the finishing note. It's kind of amplifying the chill factor of the gelato. It's definitely growing on me as I progress. It's a quality product so that was never going to be an issue. It's just that when a company spins things on you (aka the tiny crunch bits everywhere), it's not as always easy to fall in love on the first bite, but now that I'm down a serving, yeah, I think I need more, just give me one sec.... you know what, I like this one more in the melted state, the flavor profile just comes across a bit better and the bits can do there things better. Ha, just thought of something. If you prefer Andes mints, you know, chocolate with a bit of mint in the middle, then this is the ice cream for you. The mint is in the chocolate ice cream, it's not chocolate in mint ice cream. I know, sounds simple, but it's like coming at the same problem from a completely different direction. It keeps the freezer aisle exciting. On Second Scoop: Ok, try to simplify everything I said earlier. 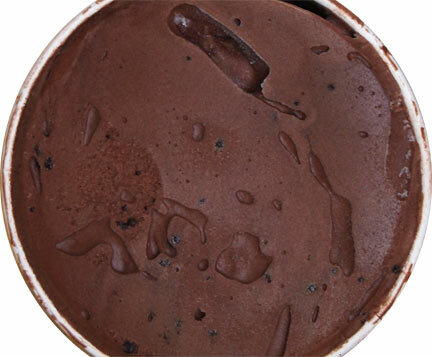 Fresh out of the pint, this one is a dense, dark chocolate flavor with bits of crunch. It's a fine product, but when it gets really soft and melts on your tongue, it comes alive in a magnificent way. The chocolate becomes part of the show and not the main attraction, the ice cold base then delivers an oh so pleasant mint on your tastebuds, and then you left with the great crunch bits. Most of the time, things don't change this much, but in this case, wow, it comes alive. You guys know I hate to wait, but I will wait for this one, because thumbs up when it's ready. 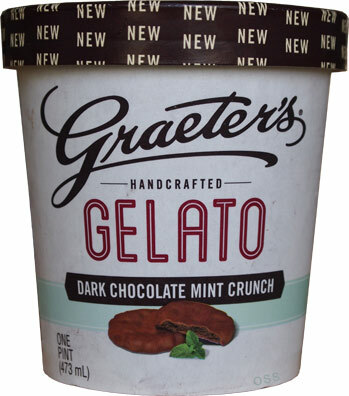 Graeters Mix-ins are untouchable. Love that stuff. 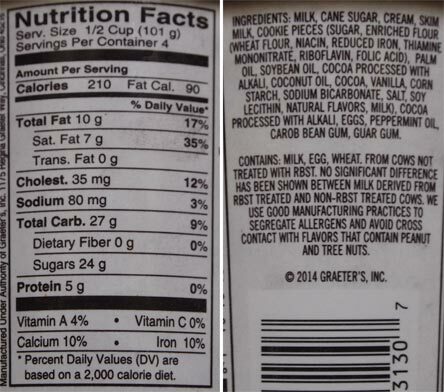 How does this compare to the old edy's thin mint ice cream? @Bob: biggest chunks on the planet! Will they still be making the Hazelnut Truffle gelato? ?